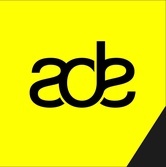 The ADE conference dedicated to visual technologies and high-end stage design. The ADE conference dedicated to visual technologies and high-end stage design. With keynote presentations by leading stage designers, live video operators, motion graphic designers and visual artists. Beamlab is a platform where creatives and technicians can exchange innovative ideas, create new partnerships and learn about future scenarios. Now for the third time, Beamlab will be ADE’s audiovisual laboratory once again, where the people behind spectacular stage designs, light and laser shows will discuss and demonstrate their craft and the technologies that make it happen. With keynote presentations by top stage designers, live video operators, motion graphic designers and visual artists, Beamlab is ADE’s melting pot for sound and moving images. Roy Gerritsen and Idzard Kwadijk (Studio Boompje, FFORM) are know for their work with major festivals all over the globe, including Sensation Energy and Fusion to name just a few. When the duo found that they didn’t have the right tools to fully realise what they wanted to do at big events, they were inspired to develop their own system called Synk, a VJ application that allows complete control of both lighting and video at big events. But Synk does more than just control visuals, it also features a platform for both upcoming and experienced artists to share their creative work, enabling previously unimaginable levels of collaboration. Built with Derivative’s TouchDesigner, Synk is a multipurpose VJ application aimed at bridging the gap between VJ and Mediaserver applications. While still in early development, Synk is now ready to be demonstrated in a live situation. Alongside that, Gerritsen and Kwadijk will share insights and about the differences between VJ-ing in clubs and producing visuals for bigger events like Sensation. Exactly one year ago Hardwell was chosen as the number one DJ in the world, and together with KBK Visuals (also known as Kijkbuiskinderen) he’s currently touring the world with his I Am Hardwell World Tour by KBK Visuals. The project started in 2012 when KBK produced some custom visuals for Hardwell’s new show, which premiered at the Amsterdam Dance Event in 2012. Alongside performing live with Hardwell at events around the world, KBK has been constantly improving and developing the show in order to take it to the next level. Along the way, the Hardwell tour has taken KBK all over the world, and they’re still traveling, from Ibiza to Brazil, to South Africa, and Australia, in order to make the shows a complete and immersive experience using custom-made stage designs and visuals. Kicking off ADE Beamlab 2014, Freek Braspenning will be sharing exclusive insights into the project. Thanks to its experienced team of 3D/2D motion graphic designers, KBK has gained a huge amount of experience in the development of unique motion graphics, as well as video production and stage design. They work closely with LED suppliers to get maximum results using LED setups by customizing visuals to the exact screen setup. They are able to work with any imaginable LED or projection screen setup, or even design a custom-made screen setup that fits any size and kind of event. With their extensive video hardware stock KBK are able to provide a 100% digital live video operating system that offers the very highest video-image quality during the show. Arcadia fuse reshaped military hardware, flaming explosions, sculpture, performance, engineering, architecture, adrenaline, immersion and bass into a primal unity. Pushing the barriers of spectacle and sensory experience, they transform military and industrial machinery into celebratory environments, following a strong conscious ethos. Arcadia maintain a permanent area at Glastonbury Festival and have announced events in Thailand and New Zealand. They won ‘Best Live Production’ at the TPI 2014 Awards. Baptised in a torrent of petrol and adrenaline, Bert Cole was riding motorbikes at the age of 6, welding by the age of 9 and at his first Glastonbury by the age of 10 where a perfect storm shaped his future path. By 2000, he was master of the world’s largest tent and after 5 years touring the world he returned to the UK where he founded Arcadia with Pip Rush in 2007. Born into a cauldron of creative intensity, Pip Rush was a fixture at the fabled Mutoid Waste parties while he was still in nappies. Honing his sculptural skills alongside his brother, Joe Rush, Pip helped create late night landscapes at festivals as diverse as Glastonbury and Japan’s Fujirockers where abstract organics and positive recycling became a central focus of his artistic vision. Paula Temple returned to making and performing music in 2012 following an extended break, and since then, she’s launched a record label, Noise Manifesto, and released a well-received EP on R&S. Her second EP for R&S is due for release the week of ADE. Temple’s latest project, The Hybrid Tour, will see her collaborate with visual artist Jem The Misfit, debuting the show at Krake Festival in Berlin. Jem the Misfit is a Berlin based artist, designer and visual performer. She was recently the winner of the Mapping Festivals international VJ competition in Geneva and frequently works with international festivals, music venues and artists to produce content, develop stage design and perform live video. Her carefully crafted performances create spatial and textural landscapes, responding intuitively with the audio. Her fascination for utopian architecture, science-fiction and music combined with her artistic vision and dedication to translating musical energy into visual form has seen her perform alongside some of the worlds top dj’s and producers. Paule Temple and Jem The Misfit will perform live at EYE on 17th October 2014, during ADE. Tarik Barri takes his audience on a mind-bending journey through ever-evolving constellations of beating, singing and dancing stars, shapes and patterns – making music literally ‘on the fly’ while freely navigating and exploring his own three-dimensional creations. Through the Versum software that he designed, Barri has created a unique and personal audiovisual instrument. He also works as a purely visual artist, collaborating and touring around the world with musicians such as Atoms For Peace, Nicolas Jaar and Monolake for their live shows. During the Lowlands festival 2014 Coloko & De Module launched their Motion Paintings for the big audience. Two light installations sized 17×2 and 52×2 meter stationed right in front of the Bravo tent. On each design a RGB light was pointed. Each lamp was seperately directed by self developed software (Coloko). The lights in combination with the designs causes a very special effect at night. During this ADE Beamlab evening you can experience Motion Paintings in real! Beams shoot through the nightsky with the speed of light, burning the building, scorching the stone. No object is safe for the luminating force of RANDY, they beam anything! During ADE Beamlab 2014, the outside of Pakhuis De Zwijger will be luminated by RANDY visuals from Arnhem, The Netherlands. RANDY creates 2- and 3D visuals for multiple uses. They open stores, guide parties, map buildings and build views. Een avond gemaakt voor en door iedereen die wil communiceren met bewegend beeld, waarbij het gaat over creativiteit, techniek en ondernemerschap. Vergaap je aan spectaculaire visuals, blijf op de hoogte van technologische ontwikkelingen en ontmoet je collega’s in het vak. Clever and salient original songs from Seattle. Marjory Haringa portretteert positieve blikverruimers die op een bijzondere manier bijdragen aan hedendaagse uitdagingen.